Announcement Welcome! 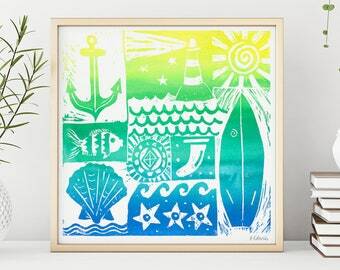 You've found a Perth-based shop selling handmade surf artwork. 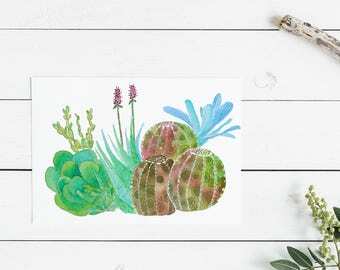 Limited edition artist prints including - etchings & dry point prints, watercolour illustration, letter writing sets, magnets and other oceanic oddities. Satisfy your stoke or indulge your whimsy. 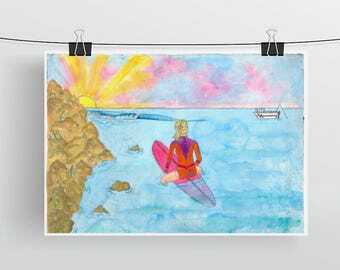 The perfect place to stop in if you are a surfer girl, or surfer at heart, decking out your beach house, or just wanting a little bit of Summer to hang on your wall. Made with love in Perth, Western Australia. Free Local Pickup is available - convo me to organise. Shipping is combined to enable free shipping on second, third items. Please feel free to visit my website to view my current work. I'm always happy to discuss custom orders. Welcome! 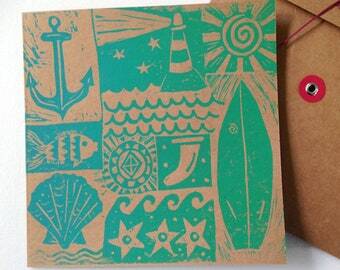 You've found a Perth-based shop selling handmade surf artwork. 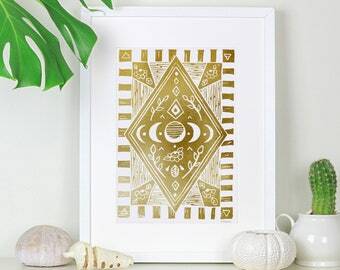 Limited edition artist prints including - etchings & dry point prints, watercolour illustration, letter writing sets, magnets and other oceanic oddities. 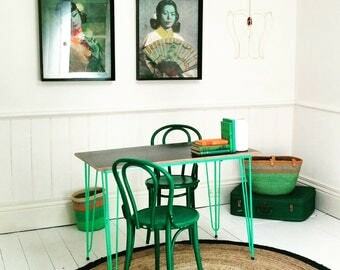 Satisfy your stoke or indulge your whimsy. 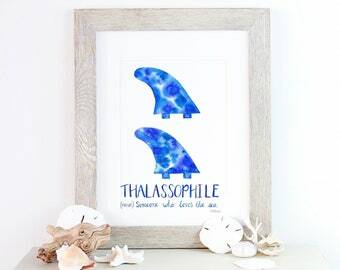 The perfect place to stop in if you are a surfer girl, or surfer at heart, decking out your beach house, or just wanting a little bit of Summer to hang on your wall. Made with love in Perth, Western Australia. 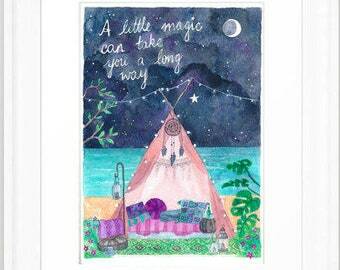 A3 watercolour art print - A Little Magic Can Take You a Long Way - Moonlit beach teepee artwork - Roald Dahl Inspirational Quote. Surfboard bookmarks - longboard, malibu, shortboard surfboard, SUP, fish, retro surfboards with fins! 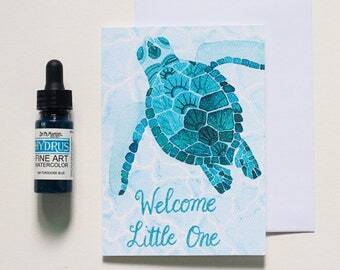 New Baby Card - baby sea turtle blank card painted with watercolour. 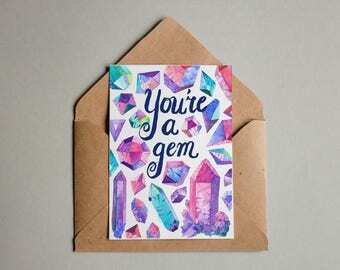 A6 size with envelope. 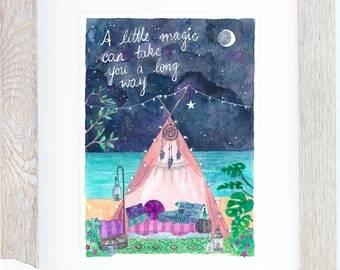 A Little Magic Can Take You a Long Way - Watercolour art print - Moonlit teepee artwork A4 - Roald Dahl Inspirational Quote. 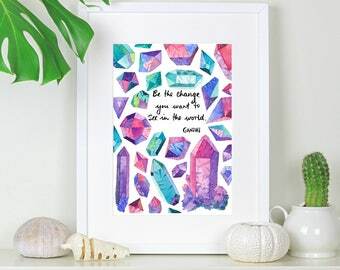 Crystal watercolour 'Be the Change...' Gandhi inspiring quote rainbow print - A4 - watercolour, Be The Change You Want To See In The World. This guy has been popular on Etsy! Hand printed drypoint and watercolour finishing. 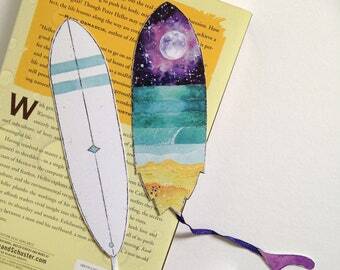 I'm so excited to announce my new surfy bookmarks! I've been having fun lately, experimentating with watercolour on canvas. Retro vehicles and salty vibes. Surfer girls have more fun. I sometimes paint and print outside on my lovely deck. 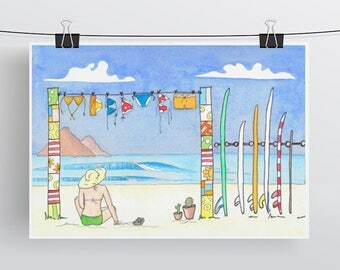 Custom artworks include immortalising your surfboard quiver! Video summary: Watch this short video to see how I create my drypoint prints. Capturing the surfing lifestyle: waves, freedom and adventure. 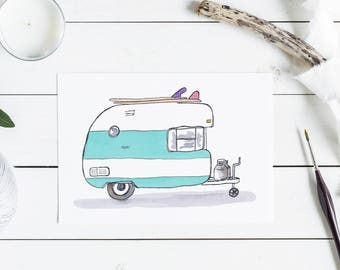 Mermaid’s Coin is a one-woman, Fremantle-based business creating ocean-inspired ‘surf art’ that is vibrant, retro and fun. Here in Australia, on our 'Island Home', lots of people have a deep love of the ocean. 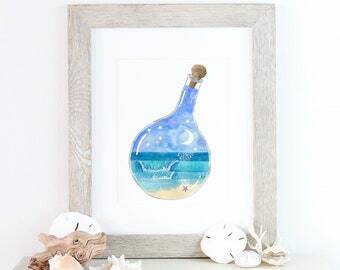 Through Mermaid’s Coin, I combine my two passions (surfing and making) to create original artworks and limited edition prints of the beach, ocean and surf culture. 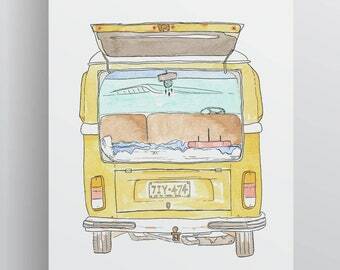 When travelling around the world in 2010 on a 'surfari', I was inspired by artists in California and Hawaii, who use their medium to express their love of, and relationship with the ocean and it finally clicked to combine my love of surfing with my need to make art. The birth of my first child in 2013 allowed me the space to launch Mermaid’s Coin. 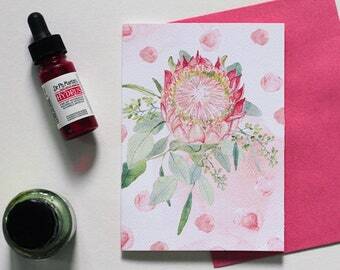 The business has slowly grown to incorporate an online shop, market stall and brick and mortar stockists in Western Australia and interstate, and overseas. I love working with watercolour and there is nothing like that first peek as you peel a successful print away from the plate. 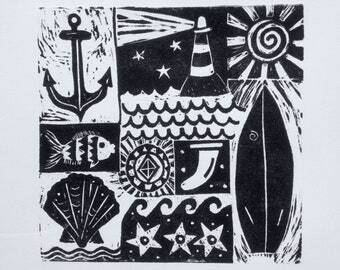 Collagraphs and linoprints are hand-pulled using an etching press and then tinted with artist quality watercolours – so each one is unique. I strive to reduce the environmental impact of my arts practise. I generally use water-based inks and solvent-free products, reuse old phone books and packing paper as part of my printmaking process, and feed the rest to my worms! I collect mat board offcuts from my framer which I turn into printing plates to etch with my designs. I reuse packing supplies where possible, and in 2018 I have started phasing in natural cellophane to replace my clear plastic sleeves so that many of my products are plastic free! 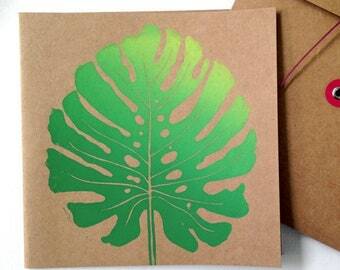 For greeting cards and reproductions, I partner with a FSC certified printer who lives less than 5km away. A sunset surf with your girlfriend, a glassy, knee high ride at dawn, escaping with the girls for a weekend 'surfari', getting lost and finding yourself, lone walks on the beach, finding shells, connecting with nature and having fun! 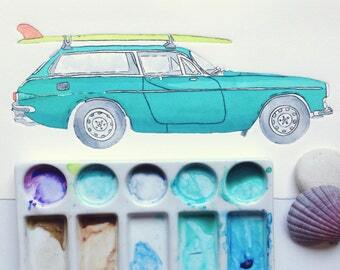 Hannah Katarski is a surfer and artist who lives in Fremantle, Western Australia. She is a lover of photography, the beach, good food and folk music. 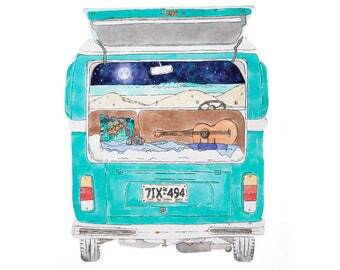 She gets stoked on road trips and surf sessions with friends. 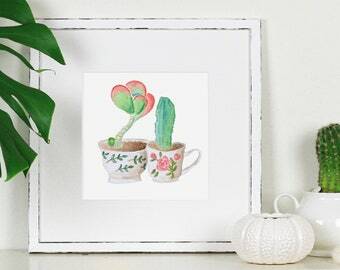 My digital reproductions are scanned and prepared by me, then they are professionally printed by a local printer to ensure you get the best quality item that will last. All inks and papers are of archival quality. I choose to work with Printline because they are Green Stamp Certified. Please don't hesitate to contact me if you have any questions about my artwork, shipping or custom orders. I'm happy to refund or replace items lost or damaged in the mail. Lost custom orders will generally be refunded rather than replaced, at the discretion of Mermaid's Coin. 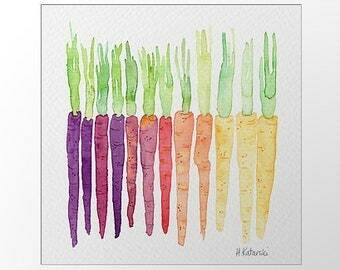 My artwork is created to order and all care is taken to ensure the item matches my photography and item descriptions. I am unable to provide refunds on any order other than for the reasons listed above. A lot of time, research and care goes into preparing custom orders and I work closely with the customer to meet their requirements. Purchases are final and a refund will not be given if a customer decides to cancel an order mid-production. I accept Paypal and payment is expected at the time of purchase. I will combine shipping costs wherever possible. 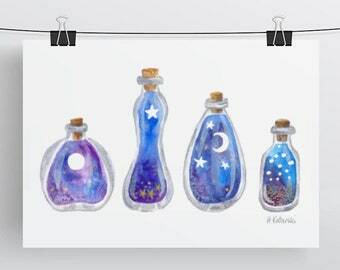 If purchasing multiple art prints, I will ship the second, third etc for free. 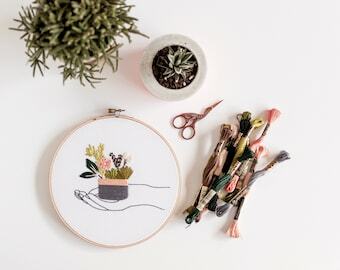 All items are packed with love & care to ensure they arrive safely, either in a sturdy envelope (small items), rigid flat mailer, rigid tube mailer, or flat box depending on the size and quantity of your order. Postage prices are calculated to include the cost of packaging. Wherever possible I reuse packaging materials to help the environment. I will ship your order within the processing time on the listed item and message you to let you know your order is on its way. 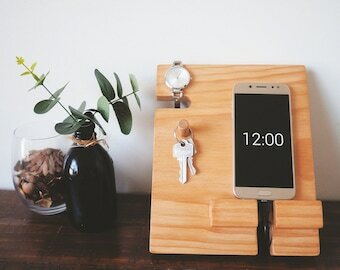 Custom orders may take longer and delivery time will be recorded in your custom listing. If you need your item in a hurry please let me know and I'll do my best to help! It is VERY important that you double check your shipping address during checkout. I can ONLY ship to the address you provide at checkout. I am not responsible for lost packages or failed delivery due to the wrong address being provided. If an item is returned due to an incorrect address being provided by the customer, the customer will be required to pay for new shipping before it can be resent. 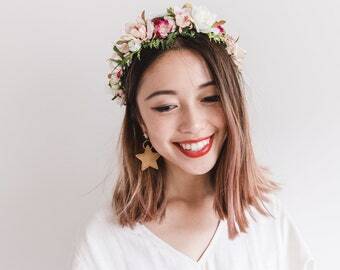 All orders are shipped with Australia Post and should take between 2-5 business days within Australia. International orders will generally take 5-15 business days via Air Mail. Registered mail is available on request. Free LOCAL PICK UP is available. 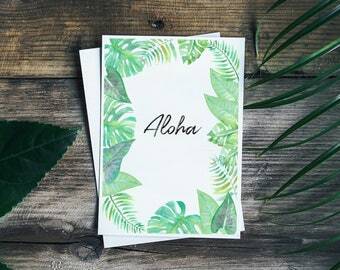 Please send me a message and I will reserve the item for you and adjust the shipping to $0 before you go through checkout. 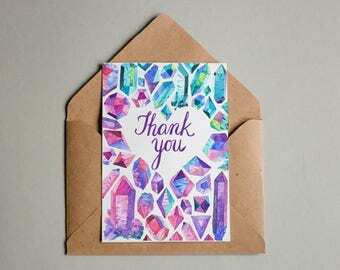 - I'm happy to ship gift orders directly to the recipient and include a custom note. Just include the information in the Message to Seller box at checkout. Please make sure the address you enter at checkout is where you would like the gift order shipped. - All items are created in a smoke free environment. - All artwork, reproductions and photos are © Hannah Katarski. 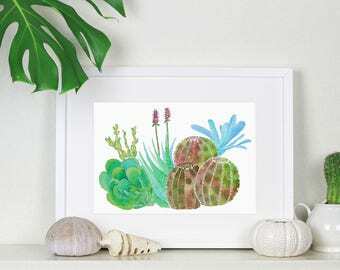 Sale of original or print does not transfer copyright and you may not reproduce my work for personal or commercial use.